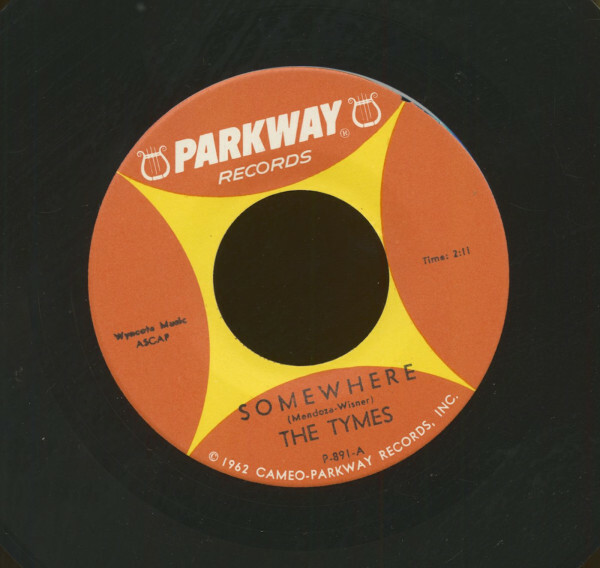 The Tymes had changed their sound drastically since they exploded onto the scene in 1963 with So Much In Love, Back when the Philly-based group first signed to hometown institution Parkway Records, lead George Williams, Jr. sounded like doo-wop’s answer to Johnny Mathis, his airy tenor floating atop his group’s street corner harmonies. A little over a decade later, they trafficked in dance fare. Tenors Al ‘Ceasar’ Berry (born March 17, 1941 in Philly) and Virginia native George Hilliard, Philly-born baritone Norman Burnett (born May 5, 1943), and bass Donald Banks formed a group christened The Latineers in 1959. Williams, born December 6, 1935, joined the next year. Arranger Leroy Lovett was impressed enough by the group at a ’63 talent contest that he sent them to Cameo-Parkway A&R man Billy Jackson. 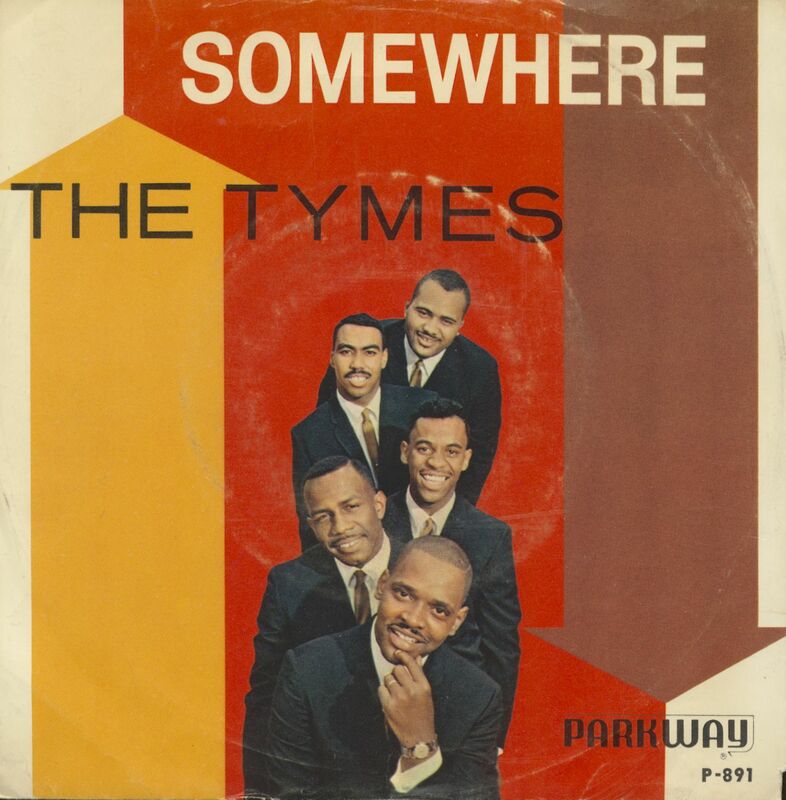 Label boss Bernie Lowe renamed them The Tymes. Their wistful debut So Much In Love, complete with seashore sound effects leading into an acappella intro, was cut in April of 1963 and the #1 record in the U.S. that August. The Tymes were typecast as balladeers, registering followup hits for Parkway with a remake of Mathis’ uplifting Wonderful! Wonderful! that gave them a #7 pop encore that autumn. There was a Top 20 R&B treatment of Somewhere and several lesser charters taking the quintet into late ’64. The Tymes issued a couple of mid-‘60s platters on M-G-M and a soulful 1968 rendition of Barbra Streisand’s People on Columbia. Three more releases, including a 1970 version of Diana Ross & The Supremes’ Love Child, went nowhere. Jackson produced demos on The Tymes at Sigma Sound in Philly that got them a contract with RCA. One of the songs was You Little Trustmaker. Ritchie Rome arranged the rouser and Jackson produced it in addition to unexpectedly taking over for Williams as lead (Billy showed George how to sing the number and sounded so good that his lead was used). 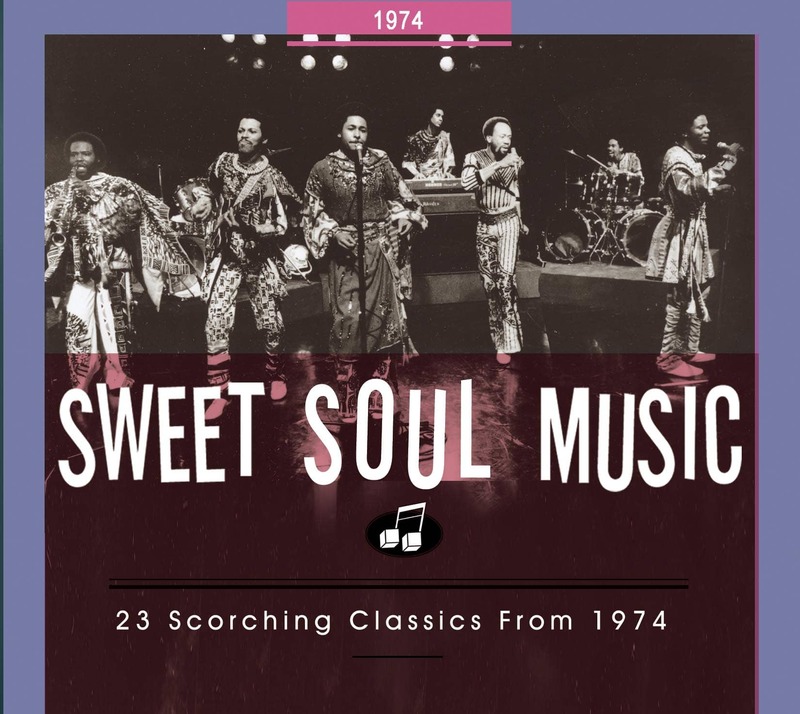 Chosen as their first RCA release and a total change of pace from what The Tymes were known for, You Little Trustmaker rolled to #12 pop and #20 R&B during the fall of ’74. It also made an #18 impact in Great Britain. The group weathered its first personnel change in 1974 when Hilliard exited to become a minister (Charles Nixon was his replacement). The Tymes stayed in their new bag on Ms. Grace, Rome and Jackson repeating their supervisory roles. It hit marginally stateside at year’s end but was a U.K. monster, topping their hit parade and making The Tymes a hot commodity across the pond. The group roared back at home in 1976 with It’s Cool, a #3 R&B seller that Jackson and Rome again produced and arranged respectively (Chuck Jackson and Marvin Yancy of Chicago’s Independents penned it). Not long after that, the original lineup fell apart. Williams died of cancer in New Jersey on July 28, 2004, while Banks passed away October 7, 2011. Customer evaluation for "Somewhere - View From My Window (7inch, 45rpm, PS)"